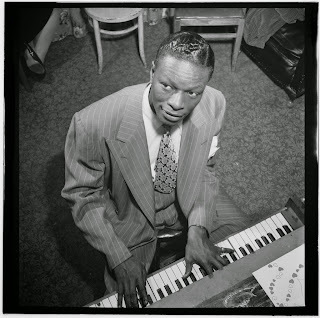 Nat King Cole was born Nathaniel Adams Coles in Montgomery, Alabama, on March 17, 1919. His family moved to Chicago in 1923, where his father, Edward Coles, realized his dream of becoming a Baptist minister. Young Cole learned to play the piano under the tutelage of his mother, Priscilla Coles, who was the organist at his father’s church. Cole began performing in the mid 1930s when he was still a teenager, playing piano with his brother Eddie in jazz clubs. It was during this time that he acquired the nickname “Nat King Cole,” derived from the nursery rhyme about Old King Cole. After that, he became the pianist in the national tour of Broadway theater legend Eubie Blake’s revue Shuffle Along. The show went under in Long Beach, California, where Cole elected to stay. A Prologue Discussion: Director Maria Mileaf Talks About Let There Be Love at A.C.T.